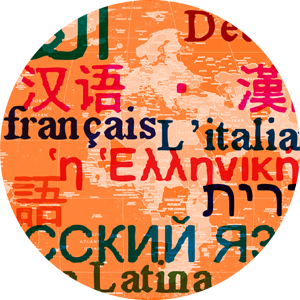 FLIE/French is an interdisciplinary major which prepares our graduates to become bilingual/bicultural or multilingual/multicultural professionals trained to interact, live, work and travel across borders. Well prepared to become global citizens of the 21st century and make a difference in today’s world, our graduates pursue careers in International Business, International law, Diplomatic Corps, Non-profit organizations, Foreign and Public Service, Tourism, National security, Publishing, Translation, Journalism, and private business. For more information, contact Professor Sadia Zoubir-Shaw at szs.shaw@gmail.com or (859) 257-5729, Patterson Office Tower 1023. The network of Open Society Foundations (OSF) is a grant-making operation aimed to shape public policy to promote democratic governance, human rights, and economic, legal, and social reform. On a local level, OSF implements a range of initiatives to support the rule of law, education, public health, and independent media. OSF also works to build alliances across borders and continents on issues such as combating corruption and rights abuses. MorphoTrust USA, Inc. is the leading U.S. provider of identity solutions designed to simplify, protect, and secure the lives of the American people.